Debby Plumstead Marshall has been an associate in Greenwood, SC since May, 2008. 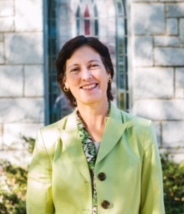 She has previously served other churches in Massachusetts, Pennsylvania, and North Carolina as a pastor, hospice chaplain, and teacher on the Marine Base for Coastal Carolina Community College. Debby is married to Don, also a pastor, and they have three boys, two dogs, and three cats. She loves being at RPC and enjoys jogging, reading novels, and being at the beach.